"Susie has helped me purchaser and sell a home in the past and she was so helpful in helping us purchase this new home. She was available to show us homes, she was there for the inspection, walk through and every step of the process. Susie made this purchase easy. I would recommend her to anyone looking for a realtor." "Susie treats every client as if they are her own family. She made sure that other agents stuck to our agreed terms. All of our appointments were scheduled which gave me time to crate my dogs. Even on her days off she was adamant about keeping us updated on how everything was progressing and making sure all of our questions were answered. I have used many different real estate agents in the past and this experience was by far the best I've ever had selling a home. Susie took all the stress off me and my fiancees shoulders. If you are looking for a knowledgeable, caring, dedicated agent look no further. We recommend her to all of our friends and family"
"We have been working with Susie Morton for about 15 yrs and can't imagine trusting our real estate needs with anyone else. She always goes above and beyond to make sure everything goes smoothly, and we know we have someone we can trust and rely on. We decided to move to Texas to be closer to our kids. Susie listed our house in Ione and we received a full offer the day after it was listed! Our only regret is that she won't be able to help us buy our new house in Texas." Thank you so much for everything you have done to sell our house. You are a Real Estate Rock Goddess and I truly appreciate you! Thank you for being there for us every step of the way. I will truly miss you! I know Mark feels the same way I do. We love you and definitely come visit us! Thank you so much again for all of your amazing help. You are great at what you do and I know you really cared about me choosing the right house. I really love how you went to bat for me even though you had to deal with such morons. I love my new house! Thank you for your help through this journey. Your experience and knowledge made this whole process as seamless as possible. It’s a testament to you with how fast our house sold. I know there were stressful times and even a little aggravation towards the buyers agent, but you helped guide us through it all. Susie has now helped us with 2 different home purchases and a home sale and I cannot possibly say enough good things about her! She is a knowledgeable and experienced professional who worked SO hard for us to make sure we got exactly what we wanted and needed out of each transaction while making the experience as easy and painless as possible for us. With our home sale, she gave us great advice and helped us get our house ready to hit the market. We sold our house in 6 days and had 3 full price offers! She was an excellent advocate for us during the buying and selling processes as far as getting what we want from the repairs and the negotiations and answered all questions we had clearly. She fought so hard for what we wanted and was successful! She is also well connected in the area which we found hugely helpful in our interactions with the other realtors, title companies, mortgage brokers, etc. I trust her completely and recommend her for any of your realty needs! The highlight of my 2017, was moving Mommy, permanently to Fort Collins! In July, while she “jet-setted” in the NW with the “Rellys”, Charlie, Guinness and I were in Pollock Pines, emptying the house on Terrance Drive and preparing it for sale. Referrals led us to Susie Morton – Realtor. As it turns out – Susie and I graduated from El Dorado High in the same class! It was serendipitous! Susie held our hand through the whole process of selling property in Pollock Pines, always keeping Mom’s best interest at heart. I am so grateful to have reconnect with this lovely woman and to have had her experience and expertise throughout this arduous and sometimes emotional process. Thanks, Susie! You are a Hangtown ROCK. I just wanted to take a minute and thank you once again for your work on this sale. You and I have both been in this business a long time. As such, we both know that exceptionalism is not as common as one would hope. Many agents "just get by" and hope that deals hang together with duct tape and bailing wire. Your work on this deal was nothing less than spectacular. You had to essentially mother and monitor five different transactions in order to arrive at a successful closing of this transaction. At every step you were patient, understanding of all of the seller's and buyer's needs and your depth of knowledge of the process underscores your professionalism. I especially enjoyed your personal presentation to the sellers and me when you originally brought forward the written offer. As you know, many agents will not take that extra step or even ask to do so. Your sensitivity throughout this process is greatly appreciated, especially with the health and other issues that were of concern to the sellers and their need to move to Idaho to care for their daughter. I'm an old guy and long ago realized that it is ridiculous to offer eulogies to people after they're dead. We need to recognize excellence when it occurs. You are excellent at what you do and the sellers and I are deeply appreciative of how you have handled yourself and this transaction. frustration, and high pressure. It has been wonderful working with you. Please feel free to use this letter or any portion of it in your future marketing. I would welcome the opportunity to work with you again in the future. 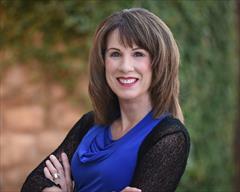 I truly could not have found a better "fit" for a Realtor, than Susie Morton. She assisted my Mother and I in selling my Mom's home of 50 years. Since we live out of state, it was a daunting task, made even more challenging by the home's "deferred maintenance". She never seemed the least bit doubtful that we would be successful and her optimistic attitude made us believe it, too! 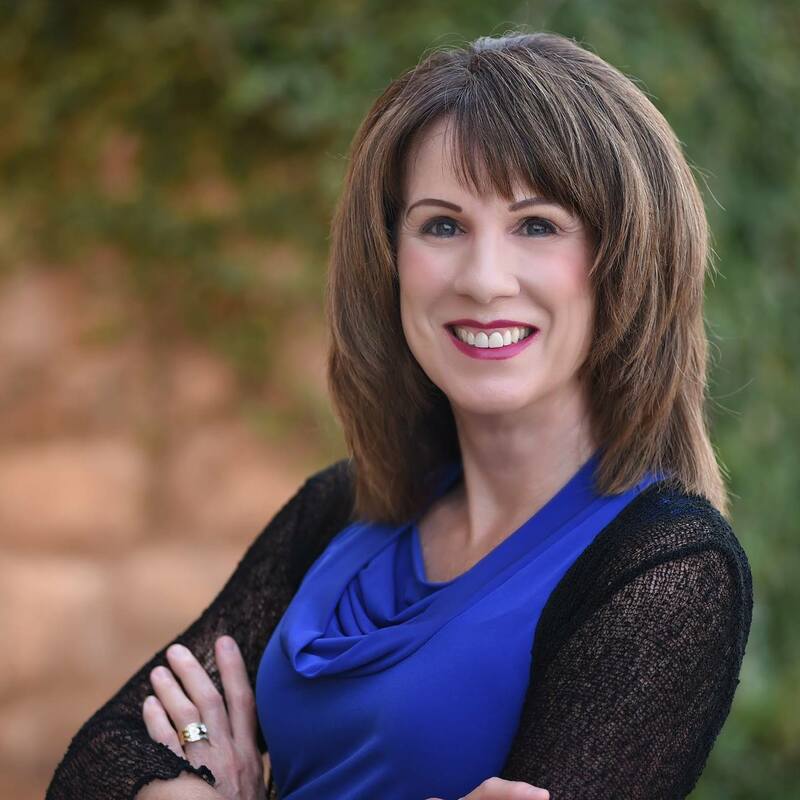 Susie has many years experience in real estate and continued education. It is evident in every step of the process that she guided us through. She approached each hurdle professionally, thoughtfully and always, always with my Mom's best interest in mind. But, don't get me wrong: Susie is a "Bulldog" when it comes to problem solving and negotiation! If she approached a new issue; she researched it and found a solution. I was actually a little bit sad when we closed, because I knew our contact would soon be ending. But I now have a good friend in California and one I would highly recommend to anyone considering buying or selling real estate. Susie Morton was referred to me by friends, and came highly recommended. I can honestly say she exceeded my own high expectations! Her knowledge of the market, and her marketing skills, as well as people skills, are why she deserves the highest possible rating I can give. This woman rocks!!! Big, big thanks to Susie Morton for being the best realtor/negotiator/super sleuth ever and taking such good care of us. Thank you for helping us find our very first home! You're the best. Thank you so much for everything! 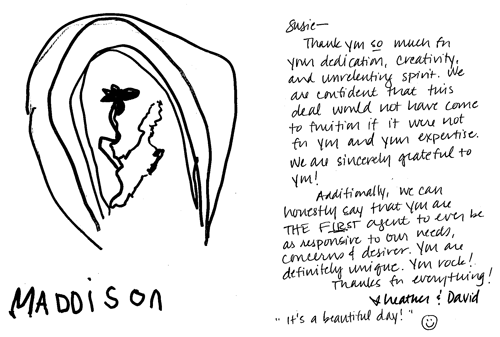 I appreciate all that you have done for me to make my first home buying experience as smooth as can be. It has been great working with you and I will make sure to spread your name to others. We'll be having a cold drink at the house here soon! Thanks again! Made it to the finish line yesterday and officially today when the house closed escrow! Yay!!! It wouldn't have been possible without the loving support of my family and friends! […] I so appreciate all the help and love and support. It certainly took a village! Big shout out of thanks to my realtors from RE/MAX Gold who were so awesome to work with Susie Morton and Pamela Welch.Michelle Golden again! My husband and I are repeat clients of Pam and Susie. After buying our first home with their help, we sought them out several years later to assist us with selling our house and purchasing again. We knew we could count on them for dedicated, efficient, and effective service. We were not disappointed! Their knowledge of the local real estate is second to none. They answer questions and provide sound advice without pressure. However, it is Pam and Susie's constant support and availability that I value most. They are always available and ready to help whenever you need them - no exceptions. Thank you, Pam and Susie, for your excellent service! Susan and I have worked together on two houses. She's amazing! She knows her business, and had all the resources I needed to successfully complete my transactions! She gave 100%. I trusted her completely. Without hesitation, I would use her again! She is a rate find, and the very best I have encountered! We have used Susie to sell three homes and purchase one. Susie has gone above and beyond in each and every transaction. Her years of experience really show thru and were invaluable. I would highly recommend Susie. She knows how to get a transaction done. After 15 years of living in the small community of Pollock Pines, my husband’s work transferred to Napa County. We contacted Susie to help sell our house and show us homes in the Valley. Start to finish was about 4 months and she was AMAZING the entire time. Her knowledge of El Dorado County and the market was a huge asset in selling our home. And her intuition on what she thought we were looking for on the buying end was right on. We felt she was on the ball at all times. We are so happy where we have landed and thank Susie for making it happen. Susie was very enthusiastic about our home, she priced it fairly and the result was a quick profitable sale. What a pleasure it has been working with you the past few months. You filled us with confidence, shared your sense of humor, and made us feel very much supported through the home-selling process. Susie Morton was excellent! She worked very hard to help us get the best deal possible. We would recommend her to anyone! Susie was referred to us by our appraiser and we couldn’t have been happier with her professionalism, experience, communication and performance. We have already referred Susie to friends who have listed with her. We are leaving the state, but have family here. We will continue to refer her for any future needs. Susie Morton is Golden! We love this woman. She was fantastic!!! Susie is peaceful and loving with the wisdom of Solomon. Her service was beyond belief! Both Susie and her husband’s support were superlative! They maintained our property, as we live 100 miles away! We appreciate how Susie kept her peaceful attitude in a complex situation. Susie was very personable and helpful through the entire process. I will use her again in the future!